Work done, tea done, feet up and crochet out! I’ve got exactly 7 weeks and 5 days until my holiday to Florida. 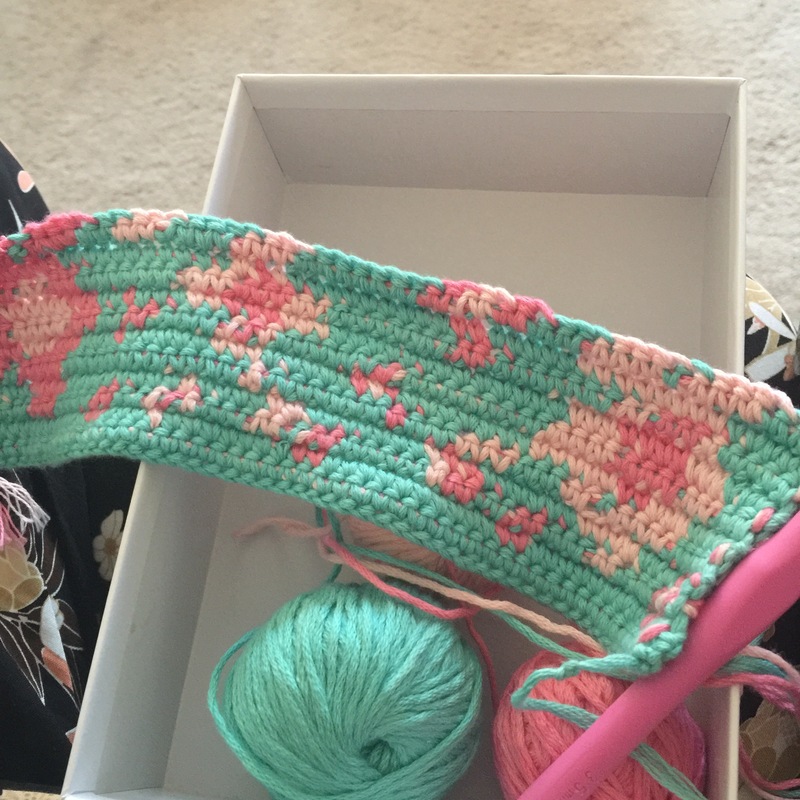 Normal my crochet is always for everyone else, so this my first item just for me! 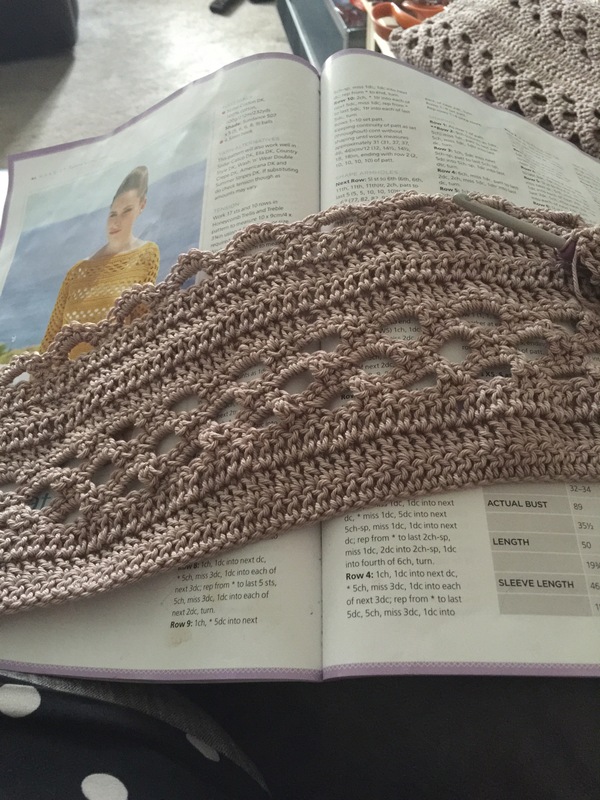 And it’s sirdar sunny sweater, the pattern shows it in sundance 507, but I’m using a more of a biscuit/gold Colorado, in paton dk 100% cotton and it is Devine to crochet with, so easy to see your stitches and feels so expensive! I’ve completed one half just on the second, then I’ve to start on one for my mum in pure white, isn’t it gorgeous! The Paton DK is really light and not heavy, so I’m hoping it will feel good to wear one evening in Florida. I’m also going to alter the pattern slightly and go for 3/4 length sleeves.